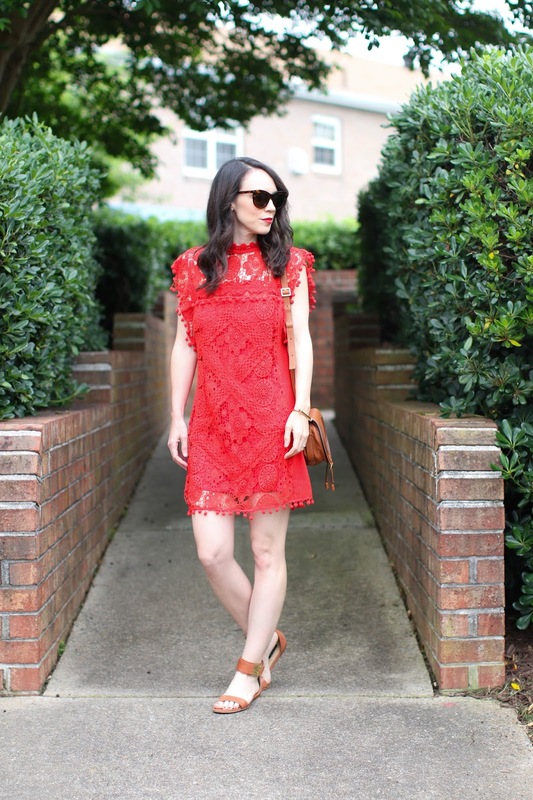 When a dress matches your favorite shade of lipstick - you get it! I live for an orangey-red lip, more so than a classic red or blue-based red so I find myself drawn to clothing that color as well. I adore Tularosa pieces and love how much detail goes into each piece. 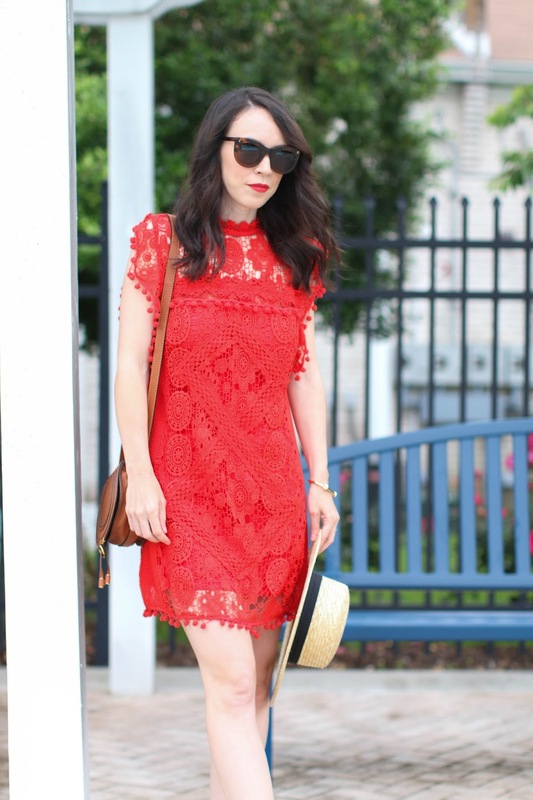 I already bought this dress from them and love wearing it, and this crocheted dress seemed too much fun to pass up. I debated wearing a red lip with it for fear it may be too matchy-matchy, but as soon as I put on my trusty Gucci "Iconic Red" I knew it was perfect! 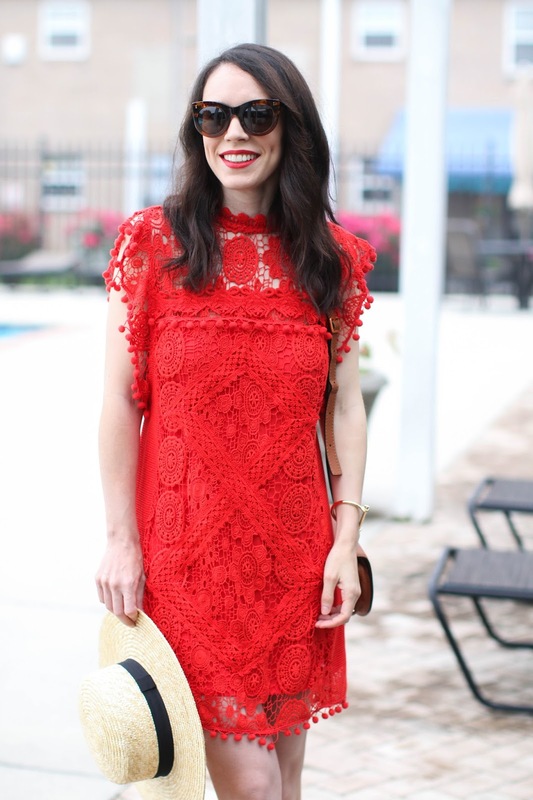 Even though red lipstick is often seen as a nighttime color, I love wearing it during the day. And especially in the summer, it is often the only bit of makeup I will wear (other than sunscreen of course). Today Stan and I head up to The Quirk Hotel for a few days and I am excited to get out and do some exploring around Richmond! I hear there is a stunning botanical gardens exhibit nearby so we will definitely be stopping by that to tour around. I'll be snapping a good portion of the trip, so be sure to follow along @alittlebitetc! 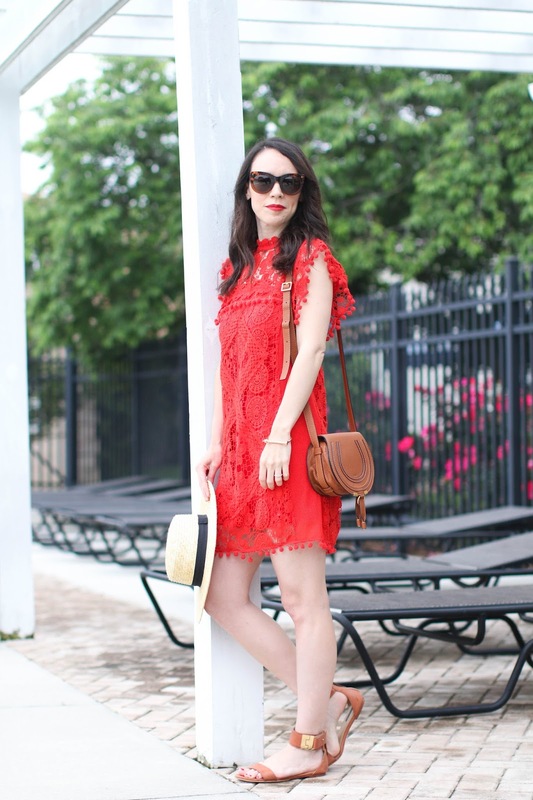 Dress - Tularosa (also available in this color, this style and in a top) | Sandals - Rachel Zoe (similar here and here) | Bracelet - Miansai | Hat - Nordstrom (similar here) | Sunglasses - Illesteva | Bag - Chloe | Lipstick - Gucci "Iconic Red"